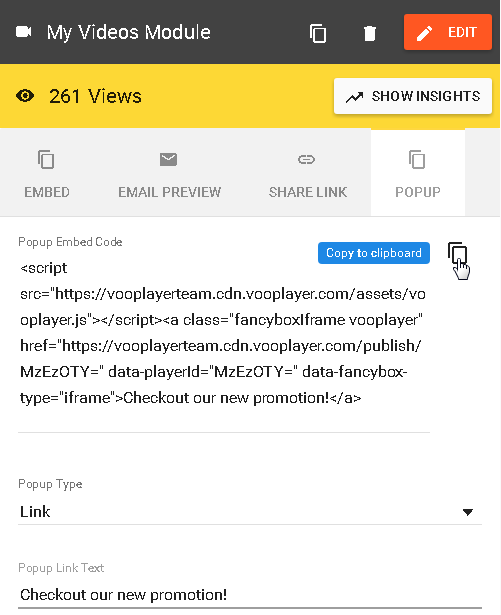 To embed a video on your site as a popup, just grab the embed code for the desired video from the vooPlayer interface. Always use the Copy to clipboard button, since the entire code is not displayed. You can choose the Popup type (Link or Image). For the Link you can change the displayed text. For the Image you can paste the image URL as source, upload a new image or even use some Thumbnail or Email Preview .GIF picture. Choose the desired type, then click on the "Copy to clipboard" button and a pop-up window will inform you that the code is successfully copied. Now paste the code into the appropriate section on your site. Go to place a new Post or Page and just paste the code and hit Publish. That's it! 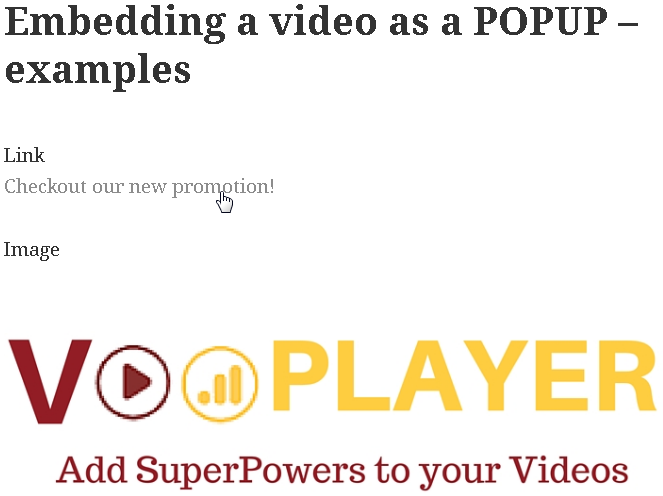 The video is now embedded as a POPUP on your site, go to view the result. 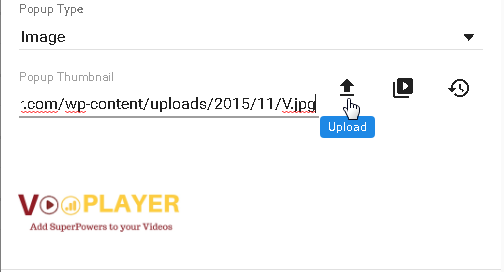 When you click on the link or the picture, the video will be displayed in a pop-up window. If this option is activated, your video will cover your entire web page. If you are experiencing issues with placing the original code, please use the Fallback Embed code. Other advanced options to adjust the code according to your needs are explained in the article - Sizing and positioning the embedded and popup players.